When Clare take on Kilkenny in the opening game of the 2019 National Camogie League, it will mark the 11th year that Chloe Morey lines out as part of the senior squad. 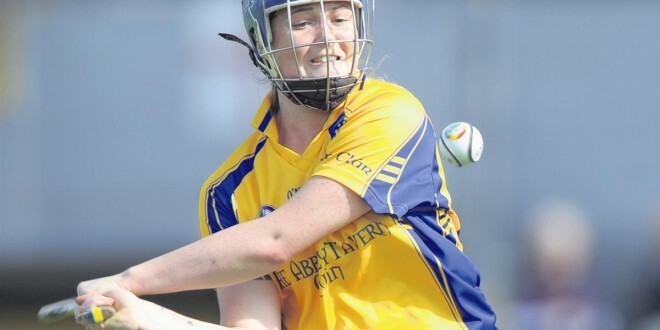 The Sixmilebridge woman has been a cornerstone of the panel since her debut season in 2008 at just 15 years old, picking up an All-Star for her performances in 2013. She has seen plenty changes along the way too, but admits she is taking a different outlook ahead of this year’s campaign. 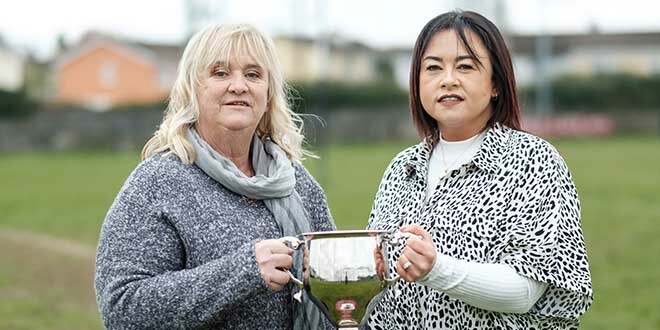 “There are different things going on in everyone’s lives and we all take our camogie very seriously, but perhaps a little bit too much at times. If we only had a look at how we approached it when we were a bit younger, that bit of freedom that allows you to enjoy it a bit more and play your best then. There’s a good few of the panel, myself included, that would have got caught up in different things. You take it so seriously because you care about women’s sport so much and trying to promote it. Maybe it’s better now to take a step back, and say I am focusing on my own game and enjoying it that bit more” said the 25-year-old. It will also be a new departure for the St Caimin’s teacher as she begins the campaign under the watch of new manager Ger O’Connell. It is the fifth different boss she has worked under during her time on the county panel, but she has been impressed with what she has seen so far. “We have been together as a squad for the last seven or eight weeks and it has been a really positive start. I don’t think there has been as many players called in for trials before, certainly since I have been involved. There’s been a huge response from everyone that was asked to come in. Management have been so thorough and professional in everything they’ve done and it’s been really enjoyable so far. It’s been well documented how well our minor teams have performed in the last few years but it has been a real challenge to make that step up to senior level. It’s different from hurling, in that you don’t have the U21 grade to break it up, so management have been working hard to make sure they are ready for that jump. We have players coming back into the fold too after taking a bit of time out who have been a massive addition to the squad. In terms of the age profile of the panel, it is much more balanced than in previous years so that’s something we hope will stand to us as the year goes on. There’s a really positive mood around the squad now, everyone is really enjoying it. We have had a few bonding nights and that has really brought everyone closer together” she laughed. 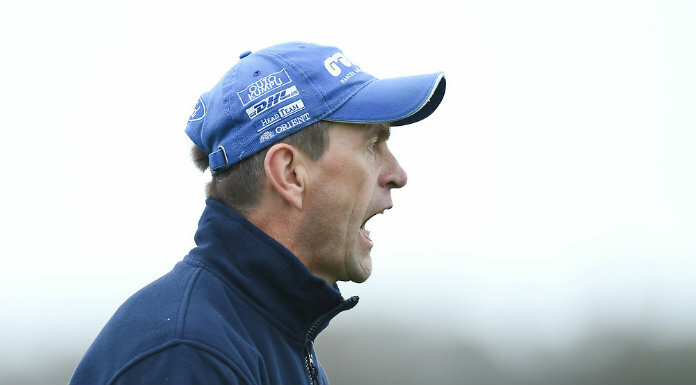 It is set to be a busy start to the new season for Clare with games against Kilkenny, Offaly, Limerick and Dublin to come in the league campaign before thoughts turn to the Munster and All-Ireland series. Morey is confident that having a strong panel in a positive frame of mind will help keep the whole group focused for the year ahead and beyond. She said: “Our problem has probably been trying to keep players for a sustained period of time. It’s very difficult at times to stay involved in sport because there are so many off-field things to look after, such as work and other commitments. Clare camogie has been doing trojan work to look after us in the last few years. I guess it’s lucky for Ger now to come in when he has in that sense. They’re putting in a phenomenal effort and no stone is being left unturned for us which makes it much easier for us to give the commitment that’s needed too. Maybe it wasn’t as simple for other squads in previous years to do that but it is much more enjoyable to be involved now. Even from a coaching point of view, everything has been broken down to a really simple format we are getting back to basics which is really interesting”. A trip to Kilkenny awaits the Banner this coming Sunday to take on the Cats in this year’s opener. Morey says the league run means that everyone will get a chance to impress management, regardless of what each player has done in the past. “We have had a huge intake of new players and everyone will get a fair shot during the league. The squad has been trimmed in the last few weeks and there will be another cut after the league so everyone is chomping at the bit to show what they can do. We have played a few challenge games and there have been loads of players putting their hands up for selection which is brilliant. Management will also be learning during the league because they’re new to the inter-county scene so it will be interesting to see how we all fare over the next few weeks. Everyone that is involved is so competitive but we all realise that we are starting on a clean slate and management have made that clear. No one has a place on the team yet so it’s up to each player to show why they should get one” she noted. You can hear more from Chloe along with young star Ciara Grogan and manager Ger O’Connell in this week’s The Clare Champion, or listen to their interviews with The Clare Champion’s Derrick Lynch below.